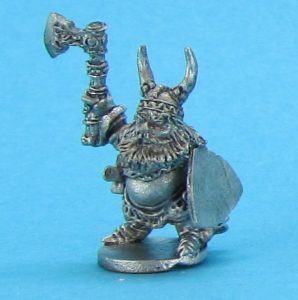 Dwarves Commanders List – FASA Games, Inc. The Dwarven armed forces are famous for one thing above all others: specialization. Each individual is trained in a specific skill or task until it becomes a reflex as natural as breathing. Their leaders are exemplary in their duties as well. Each knows how to direct troops, read a battle and adjust tactics accordingly, and inspire those under their command to greater achievement and, ultimately, to victory. 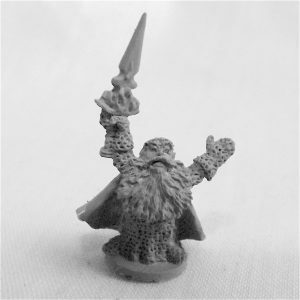 Below you will find all of the relevant information to add these mighty heroes to your Dwarven army. 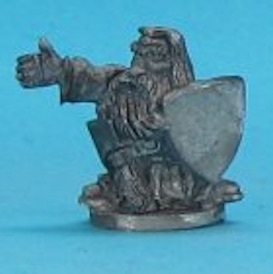 Unit Description: The Dwarves are not known for their cavalry. 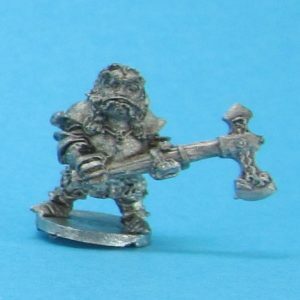 Being short and heavy as they are, there are few creatures possessing the intelligence for training that are also physically capable of carrying a dwarf in battle armor. However, there has been some luck in training boars for such tasks. The animals are strong, have tough hides, and razor tusks that benefit themselves and their rider in a fight. 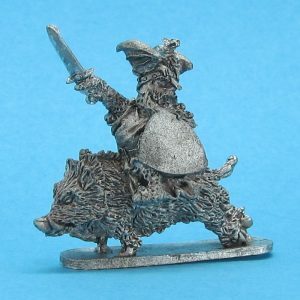 If one can get through their hard-willed demeanors, boars are a fine fit for mounted Dwarven troops. And the greatest trainer of these beasts in the current age is none other than Thorgrim Boarmaster. His own hard head has proven a fair match for that of the wild boars found around Gaeta. Unit Description: Balifgar Ankhlaed was a candidate for the throne not long ago. When news of the king’s unexpected death came from the palace, Balifgar, along with several other successors, was far from home. He and his troops were reinforcing the garrison at Hope’s End. The immediate need for a king was too great and the kingdom could not wait for the successors that were so far away. Demons were attacking everywhere, souls were being lost by the thousands, and what allies the Dwarves had demanded answers and action. Balifgar’s chance at the kingship was robbed from him, but he remains a general of the forces of Gaeta, and a highly respected one at that. He wields a magic battle axe named Biter that has become a family heirloom. It was once used by this great uncle, Bradon Ankhlaed, also known as Bradon the Axe. Unit Description: Niflovar is one of the highest ranking priests of the goddess Hellia. Hellia is the goddess of fire and passion. Her priests perform rites and ceremonies for many joyous occasions, such as births, weddings, and especially celebrations of victory. Hellia is the one Dwarves worship before battles, believing her blessing will fill them with her fire and guide them to glory. Niflovar himself performs many of these blessings. He travels with Gaeta’s largest forces and rallies troops behind him, inspiring them to greater glory in the goddess’s name. Unit Description: Drogdunbar is a priest of the god Ferrûnd, deity of ore, craftsmanship, temperance, and patience. Ferrûnd’s priests wear the finest quality armor, even if they have no intention of participating in combat. For them, the armor is akin to the more traditional robes of other priestly sects. Drogdunbar hails from a small village on the outskirts of Z’Hara , but has made a name for himself in spite of his meager beginnings. A hard youth facing everything from Orcs to demons to rabid beasts has made him all but fearless. 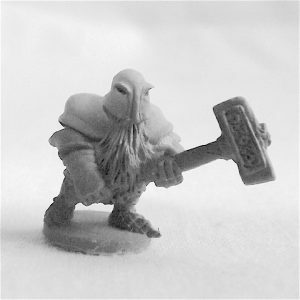 Unit Description: The priests of Rakor are the most revered in all of the Dwarven realms. 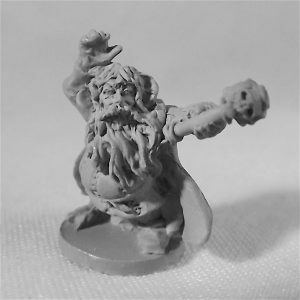 Rakor created the Dwarves from the deepest earth and stone and gave them life and safety for thousands of years. His priests are only somewhat less revered. Bridinthar has served in the halls of Rakor for over 130 years. 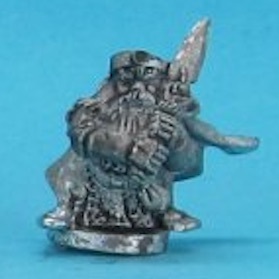 He is well-konwn in both Gaeta and Z’Hara as a wise Dwarf and brave leader. There are some legends about him that say the earth can be felt to rumble beneath him when he invokes the powers of Rakor in battle. Unit Description: Clan Khoervaed is widely known for the smith Vaska Torgrimm who forged the famed sword Sardasil. The skills of the clan’s smiths are unrivaled. Ironically, the clan’s greatest leader carries no weapon. Durim Khoervaed carries shield and wears simple robes embroidered with his clan symbol. He keeps a hand axe tucked in his belt for emergencies. Unit Description: Although he was educated in the finest schools in Z’Hara, Mulfztan left the city of Zaertha at a young age, feeling stifled even in the city known for its progressive views. He set out alone into the southern wilds of Z’Hara and disappeared for many years. 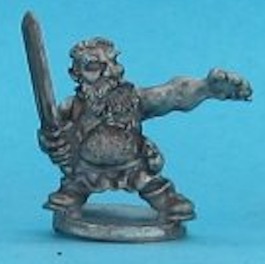 When anyone from Zaertha heard from him again, he had become a prominent leader in the tribes of the Wild Dwarves. The education he received in his youth put him at an advantage when interacting with the relatively uneducated nomadic Dwarves. He made a name for himself by offering the tribes better smithing techniques and modern tactical knowledge. Unit Description: The Folklaird clan is known for its excellence in the construction of fortifications, and its leaders are well-trained in the tactical knowledge required to successfully defend such locations. Khardoras is a proven leader and master tactician. His courage helped defend countless lives from the wave of death following the Rifts. His demeanor is far from kind, but his efficacy as a commander of troops has been proven many times over.